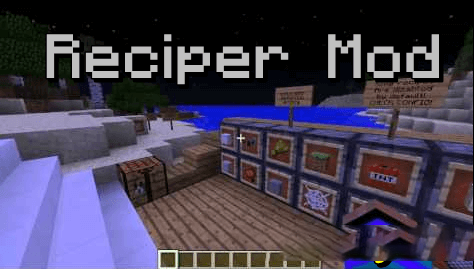 Reciper is a small mod that adds several missing or useful recipes to vanilla Minecraft that can be enabled or disabled individually. That makes it more flexible though it’s just a simple mod. 23 new or alternative crafting recipes. 20 new or alternative uncrafting recipes. All recipes can be enabled or disabled. This mod can be globally enabled or disabled. Integrated update check and motd. Works in singleplayer and multiplayer. [FIX] Fixed an issue where config files under Linux were strangely created and duplicated.